An example of electronic labels made by Stockholm-based tech company Pricer. As you’d expect, it’s not cheap to change over an entire store from traditional paper/plastic shelf labels to the new-fangled electronic ones. A large retailer can end up spending in the six figures to update a single location. 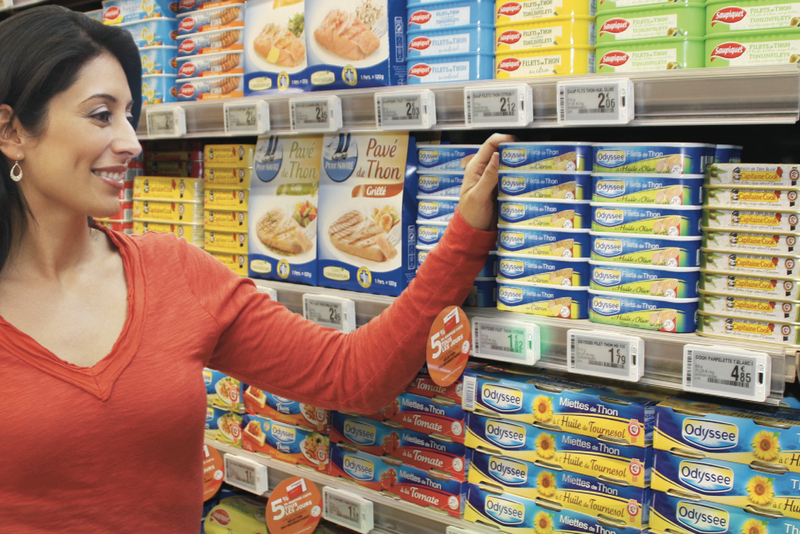 For stores that are frequently modifying prices or rearranging shelves, electronic tags could save labor costs in the long-run, allowing stores to cut prices to compete with online sellers. Stores could also take those employees who would have been spending their time redoing price labels and put them to work serving customers.